WEAsystec GmbH develops, produces and delivers system solutions for elastomer applications, in particular handling processes for the optimization of entire manufacturing processes. Our customers are from the automotive, healthcare, industrial and agricultural sectors where WEAsystec is listed at major German OEMs. The company exists in the area Luebeck, Germany since 1997. WEAsystec unites the entire competence of toolmaking, plant construction and automation technology. Thanks to the combination of in-house production in Luebeck and external partners, we respond quickly and flexibly to customer needs. In particular, the complete installation of systems in-house ensures adherence to schedules and maximum reliability in project management. Our injection molds for technical elastomers are characterized by sophisticated and precise design. We develop tools for medium-voltage technology, the automotive or industrial sector, agriculture and healthcare. 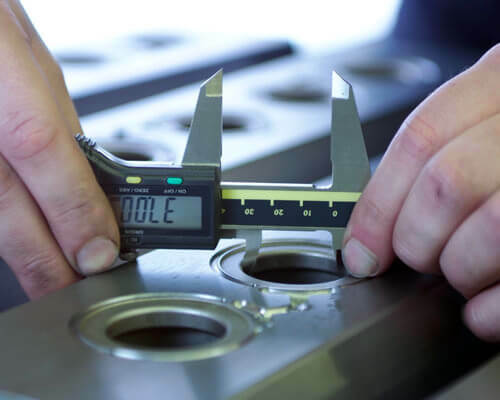 No matter if injection molding tools for seals, suspension bushes, vibration absorbers, insulators or rubber-plastic connections - we will find the optimal concept for your product. Cold runners, whether open or with needle valve technology, help you to save material. Shorter flow paths improve the quality of your products while reduced vulcanization times increase the efficiency of your injection molding. Through elaborate design WEAsystec cold runners provide reliable, constant temperature control and easy, ergonomic handling. 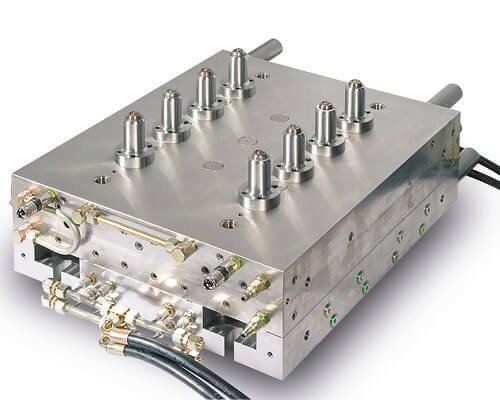 Moreover, needle valve cold runners allow for sprueless production. From simple device to entire automated production line - WEAsystec offers a solution for your process with a variety of specific technical solutions for the elastomer industry. 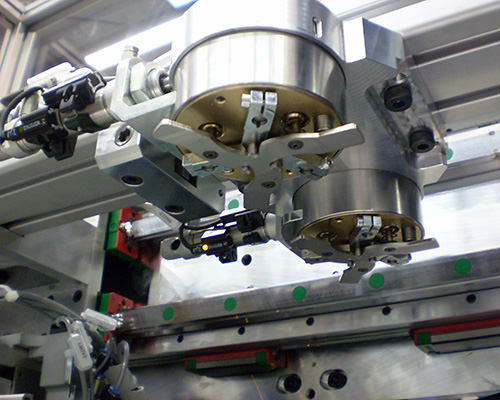 Synchronous change units for fast plate changing, feeder and separation units, tool loading and unloading systems or a complete turn-key system: Our customers are given the opportunity to define a single individual solution for every production stage up to the complete solution from a single source.